Ukrainian Prime Minister Arseniy Yatseniuk has ordered the involvement of the best lawyers to file as many lawsuits as possible against Russia seeking compensation for the losses caused by the joining of Crimea and the events in Donbas. 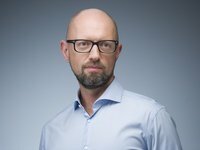 "I am asking the Justice Ministry to involve everyone they can, [involve] on any conditions the international community and the best lawyers in the world to file as many lawsuits against Russia as possible over a short period of time: Russia needs to get punishment, both geopolitical and economic," Yatseniuk said at a Justice Ministry meeting held in Kyiv on Monday. The prime minister recalled that the Justice Ministry has found methods to try Russia and three lawsuits are already in international courts.